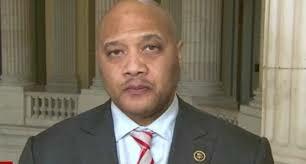 In his Jan. 17 column, Matthew Tully misleadingly portrays concerns over the recent appointment of Rep. André Carson to the House Intelligence Committee as being motivated by an anti-Muslim bias. In fact, the concerns are directly related to Carson’s behavior and questions about his judgment and intentions. In June 2014, Carson was invited to be the keynote speaker at the newly established U.S. Council of Muslim Organizations, the first U.S. political party to be openly founded by Muslim Brotherhood supporters. The Brotherhood is a generally covert organization founded in Egypt decades ago that seeks to overthrow Western and other governments in order to establish a worldwide Islamic caliphate. Its motto is “Allah is our objective; the Koran is the Constitution; the Prophet is our leader; jihad is our way; death for the sake of Allah is our wish.” Its ideological roots paved the way for such violent groups as al-Qaeda, the Islamic State and Hamas. Of note, the U.S. Council’s meeting was unusually secretive. No transcripts or audio or video recordings were released as would normally be customary at an inaugural event of a political party. A new series of concerns about Carson arose last month when he was scheduled to appear on a panel at an Islamic Circle of North America/Muslim American Society convention along with Mazen Mokhtar, the national director of the society. Mokhtar, it turns out, was suspected in 2004 by federal investigators of soliciting online funding for the Taliban and al-Qaida terrorists and recruiting Muslims to kill U.S. troops in Afghanistan. He was later jailed for tax fraud and his knowledge leveraged for additional terrorism leads. When Carson’s appearance at the conference was exposed by an investigative journalist, Carson’s office backtracked and stated he had never planned to be on the panel. Meanwhile, his name disappeared from the convention’s website. Notably both groups sponsoring the convention support jihadism. According to documents captured from the Brotherhood by the FBI, the Islamic Circle of North America was established to eliminate and destroy “the Western civilization from within.” Its instruction guide for members tells Muslims to wage jihad, conquer the West and establish sharia. According to federal prosecutors, the Muslim American Society is a like-minded group that, along with the Brotherhood, was recently even designated by an Arab nation — the United Arab Emirates — as a terrorist organization. Over the past year alone Carson has demonstrated close connections with individuals and Muslim Brotherhood-linked groups whose goals are diametrically opposed to those of the U.S. government. His selection to the Intelligence Committee by Democrat Nancy Pelosi will allow him access to sensitive information that affects national security. One would think these disturbing facts would inspire Tully (or The Indianapolis Star) to prompt an inquiry. Instead we get Tully dismissing legitimate concerns about Carson because they purportedly involve “unfair and cruel” stereotypes of Muslims. Here is a question that needs answering: Has politically correct journalism at The Star made investigations into Carson’s conduct off limits simply because he is Muslim?